Anna designs and leads programs supporting faculty development in community-engaged pedagogy and research, including grant applicants and faculty fellows. She runs workshops, institutes and consultations and builds relationships among faculty, staff and community partners. Read more about Anna. Mike is coordinating the launch of Engaged Leadership — a pathway through existing and to-be-created curricular and co-curricular offerings for undergraduates. He collaborates across the university to design, implement and evaluate a range of student development programs. Read more about Mike. Joy oversees the delivery of student community-engagement initiatives, working closely with the Engaged Ambassadors to implement programs. Read more about Joy. Aaron is responsible for developing and implementing the Engaged Cornell communications strategy and partners with faculty, staff and students from across campus to promote Cornell’s community-engaged learning, teaching and research. Dhyana facilitates new and strengthens existing linkages between Engaged Cornell initiatives and partner organizations in New York state. She facilitates access to statewide community-engaged research, learning and service experiences for students, faculty and staff. Lorie oversees budget and financial reporting, and develops data management processes to improve the delivery of strategic programs. Sarah serves as the main focal point for addressing, compiling and maintaining resources that support logistical operations associated with domestic off-campus learning experiences, including those in community engagement. Richard leads the design and implementation of program evaluation and provides guidance and resources for assessment and evaluation of community-engaged learning, teaching and research. Read more about Richard. Ashlee initiates and launches web, mobile, print and publicity communication projects that enhance the visibility of Engaged Cornell on campus and beyond. She is the primary contact for the Engaged Cornell website. Basil is responsible for coordinating strategies to achieve community engagement goals in support of Engaged Cornell. In this role, he oversees administrative, staffing and business processes and tracks key performance indicators. Read more about Basil. Wendy provides extensive administrative support and manages the day-to-day operations of the office including scheduling, event/programming support, communications coordination and supervision of student employees. She also manages the administrative and maintenance needs of the Engaged Cornell Hub. Amanda leads programmatic efforts focused on the development and assessment of faculty efforts in community-engaged pedagogy and research. She supports grant applicants and faculty fellows through workshops, institutes and consultations for faculty and staff. Read more about Amanda. Ankur reads and scores student written critical reflections, convenes and leads teams of readers to do the same and supports a community of undergraduate critical reflection facilitators within student organizations. Read more about Ankur. Anshuman is involved in program evaluation of Engaged Cornell Courses through systematic data collection, rubric development and analysis. His work will help OEI assess the impact these courses have had on students and the community at large. Read more about Anshuman. Katelyn is responsible for monitoring the evaluation and assessment of student learning and satisfaction surveys for all Engaged Leadership programs, facilitating conversations on this data and the supporting the undergraduate team with data for continuous program development. Read about Katelyn. A team of university leaders work closely with the Office of Engagement Initiatives to steward Engaged Cornell’s mission and strategy. 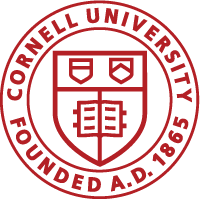 Learn more on the Engaged Cornell website.